Healthy students learn better and are highly productive in school. The goal of the Allendale School District is for all students to succeed. 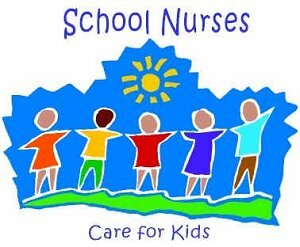 The school nurses recognize the importance of health and its relationship to learning. Health is more than the absence of disease. We want our students to experience wellness and achieve their greatest potential. Our mission is to serve students, staff and parents in order to promote optimal health and wellbeing in our school and community. The school nurse will give emergency treatment to those students who are injured on the playground, in the classroom, in the building and/or on the way to school, and will inform parents as needed. The administration of medication to a student during school hours will be permitted when failure to take such medication would jeopardize the health of the student or the student would not be able to attend school if the medicine were not administered during school hours. Only the school nurse or parent may administer the medication during school hours. Necessary forms must be completed by the parent and physician before the medication can be administered in school. (See Medication Authorization Form under “FORMS”). All medication must be brought to school in the original container and stored in the Health Office. Illnesses occurring during the school day will be evaluated, and the student will either be sent home or allowed to rest in the Health Office and then return to class at the discretion of the nurse. Students with a suspected communicable disease will be sent home and re-admitted only after evaluation and clearance by their healthcare provider. Heights and weights, as well as blood pressure screenings, are done yearly for all students. Hearing and vision screenings are performed on students as required by the NJ school health guidelines. Scoliosis screenings are done annually on students in grade 5 and grade 7. Students may be exempt from this screening if requested in writing by a parent. Any concerns are referred to the parents for further evaluation by the child’s healthcare provider. Physical exams are required for students entering Pre-K, Kindergarten, and new students entering the district. They are also recommended, at least once, during each developmental stage, at early childhood (pre-school through grade 3), pre-adolescence (grade 4 through grade 6), and adolescence (grade 7 through grade 12). Athletic physical exams are also required for those students in grades 7 & 8 who wish to try out for Intramural or Interscholastic Sports. An Annual Health Status Update is required every year and is to be completed by the parent. Your child may be excused from Physical Education (P.E.) for up to one week with a written note from a parent. Your child requires a note from his/her healthcare provider to be excused for more than a week. If a student is excused from P.E., he/she cannot participate in recess or intramural or interscholastic sports. Students are permitted to be excused from P.E. for a maximum of three times per trimester with a parent note. P.E. passes are issued in the Health Office before school. Students are required to meet the immunization requirements set forth by the NJ Department of Health and Senior Services. Cumulative Health Records are reviewed periodically. Parents will be informed if immunizations are not in compliance with New Jersey State Law requirements.